I could not believe it, in front of me was a bottle of Linie Aquavit. Norwegian Linie Aquavit. Named so because it crosses the Equator twice in its production. It is transported from Norway to Australia and back on a ship. This entry was posted in Japan and tagged aquavit, bar, beer, christmas, Sapporo on December 26, 2016 by Traveltorgeir. I have been to many different christmas markets, I happen to travel a lot around christmas, but I had only been to markets in Europe. When I saw there was a christmas market in Sapporo while I was there, I knew I had to visit. I have been to christmas markets in Strasbourg and Berlin, Trondheim and Gdansk. They are usually very similar, but all with small differences. It was the same in Sapporo, at first sight the market could have been anywhere. It looked like any christmas market, but at a closer look you could always spot the differences. 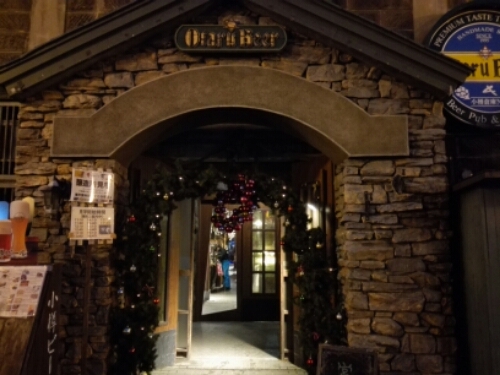 This entry was posted in Japan and tagged beer, christmas, food, Glühwein, Market, Sapporo on December 19, 2016 by Traveltorgeir. Sapporo, despite actually lying just south of Nice, France, can be a a city of cold and snowy winters. With the Siberian High front developing over Eastern Russia and the Aleutian Low front developing north in the Pacific Ocean, a cold flow of air comes from the north and down to West Hokkaido. The result is usually cold and snowy winters, almost six meters of snow on average. In Niseko, a few hours by car from Sapporo this results in a ski resort with some of the best powder snow in the world. In Sapporo this means freezing winters, much trepidation, but also warm periods melting the snow to water which becomes ice due to the Heave, the cold ground. A problem also known in Norway. This entry was posted in Japan and tagged Sapporo, snow, winter on December 15, 2016 by Traveltorgeir.